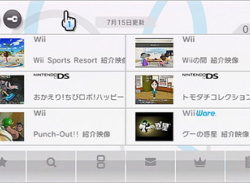 Along with the 4.1J Wii system update, Japanese Wii owners have also received an updated Nintendo Channel! The Nintendo Channel has long been a mixed bag: it provides Nintendo with a gateway into player's play habits (though you'd have thought this would be possible from the basic system given that the Wii has built-in networking capability) and also provides players with game trailers, short..
Is Arino up to the challenge? 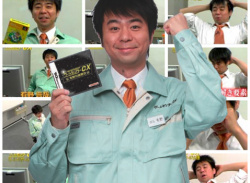 If you don't already know what Game Center CX is well, I'll tell you: a Japanese T.V. show which started out being about Japanese arcades and retro games, with a "challenge" featuring Shinya Arino, a Japanese comedian with meagre gaming skills. The series has had its own DS game (released in the west as Retro Game Challenge) and a sequel has just been..